“Powerful stories bring people together. This summit emphasized the importance of stories about nature, and the role storytellers play in connecting people to the natural world." 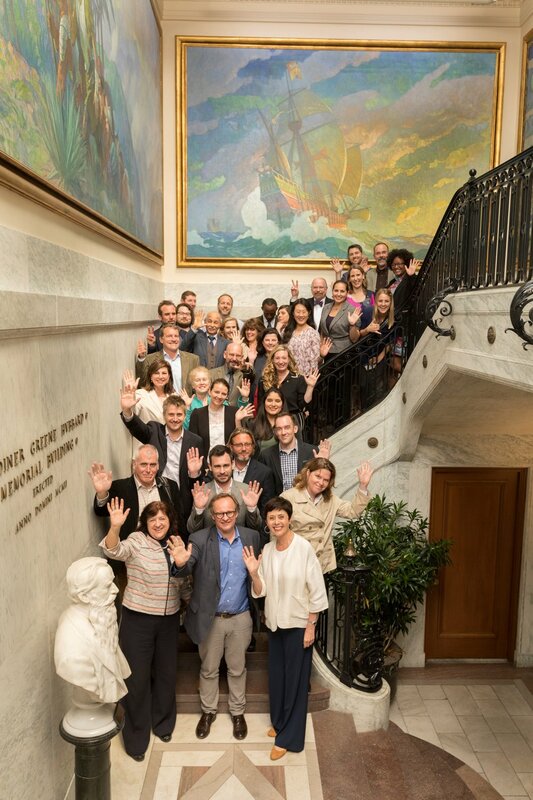 The goal of the #NatureForAll Strategy Summit at the National Geographic Society was to harness collective communications expertise as a resource for #NatureForAll in order to help refine a strategy for the next 3-5 years. On Thursday, April 20th, 2017, over 30 leading communication experts from various environmental sectors came together to have a discussion on how to communicate ‘love of nature’ to various audiences. The day began with opening remarks from National Geographic Society Chief Marketing and Communications Officer Emma Carrasco, after which the room heard from artist, writer and naturalist James Prosek who contributed to the National Geographic Yellowstone project's Invisible Boundaries exhibit. James provided an inspirational outlook on the value of connecting with nature, after which the group broke out into groups to define next steps for each of #NatureforAll's thematic areas. Small groups discussed indigenous and local communities, health and well-being, and urban gateways to nature. Beijing Dequan Management and Consulting Co. Ltd.
Lots of organizations already have programs to get people outside, so it’s important to consider how to scale these programs: outreach. Don’t assume that people don’t care about nature; we should start with inherent assumption that people do care, but don’t know enough. Much can be gained from reaching new audiences, and engaging with non-traditional conservation partners, like Google.